Childhood allergies are on the increase. 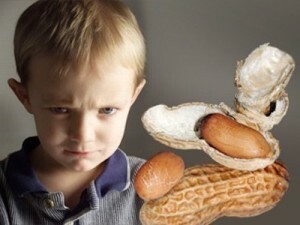 It’s estimated that 15 to 20 percent of children have some type of allergy. Understanding what an allergy is and how it can be detected on a child is the first step in combating this illness. Allergies n children can be very mold, all the way up to serious and even life threatening. Its also the most common chronic illness in children, lasting a lifetime is quite possible. Some people believe that allergies in children will disappear as they grow older. This is not totally true. It is fact that some children do grow out of their allergies, but in many cases, they don’t and the allergies need to be treated. Diagnosing allergies in children is a difficult task There are so many different allergens that may be affecting your child, and the symptoms most often resemble symptoms of other illnesses that are a lot less chronic. Your child could have one of many different allergies and sometimes it takes time to actually figure out they do have an allergy. Family history is the primary risk factor for childhood allergies. 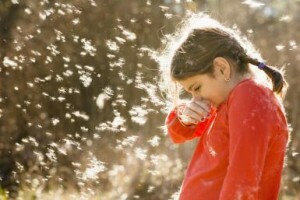 If there is a history of allergies in the family the chances are greater that the child will have allergies as well. If both parent have allergies there’s about a 50 percent chance that the child will have allergies, but not necessarily the same type. Recent studies also prove that exposure to second hand smoke on a regular basis, increases the risk of allergies developing in children… Even pregnant mother who smoke can pass the risk of allergies to their unborn child. Allergy symptoms may even occur in the infant stage, Colic is common in infants but some studies show that babies that have severe cases of colic actually have a food allergy. Sometimes rashes on a baby may be an early sign of an allergy. 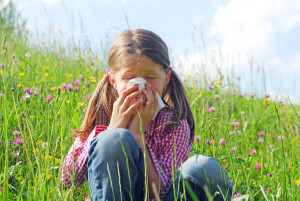 Another sign of childhood allergy usually occurs around the age of six or seven. Chronic runny noses, also a blockage in the nasal passage are a sign of a seasonal allergy. If the child has this symptom year round it could be a dust mite, pet, or mold allergy. It’s very easy to misdiagnose an allergy thinking it’s just a cold… The main difference is the timeline. A cold may only last a few days, not usually longer then 2 weeks. An allergy is constant or frequent… If your child has these symptoms, its time to start thinking they may need to see a doctor, to get a diagnoses. If you suspect an allergy in your child, seek medical attention. Do not try to self medicate them. This may make the symptoms worse or mask the problem. Allergies can be very mild, but some allergies can be deadly. A doctor needs to diagnose your child and recommend the proper treatment. Even with the proper treatment allergies can be quite discomforting for you child You can ease their discomfort by not exposing them to the things they are making them sick, and making sure they are receiving the right medicines to help them cope with this chronic problem. Pinpointing the allergen is important. You doctor can advise you on how to assist your child in what to do in case of a flare up, and how to avoid them , if possible,. They also can determine the severity of your allergy. Being able to explain to your child why you make some decisions will help them cope as well.